WASHINGTON (July 13, 2016) — Researchers from the George Washington University (GW) have received a $28 million, five-year Martin Delaney Collaboratory grant from the National Institutes of Health (NIH) to apply immunotherapy advances in order to create a novel HIV cure strategy. Their innovative cell therapy approach will focus on making individuals’ immune systems work better in eliminating HIV reservoirs. GW will collaborate with 17 different medical sites on this important research. This award is part of the second iteration of the NIH’s Martin Delaney Collaboratory program, which fosters public-private partnerships to accelerate HIV/AIDS cure research. Delaney was a widely respected AIDS activist who championed partnerships involving government, academia, and industry. And harnessing T-cell, natural killer cell, and antibody-mediated effectors in both adult and pediatric HIV infections. BELIEVE will partner with Altor Bioscience Corporation, whose cancer drug candidate ALT-803, a proprietary interleukin-15 superagonist, has been found to not only wake up the HIV virus from latency, but also enhance the ability of the immune system to kill those cells. This is unique, as most latency reversing agents, or “kick” agents, often impair or do not help the ability of the “kill” agents. Because this drug is already in clinical trials for cancer, establishing clinical trials for ALT-803 in HIV/AIDS will be an accelerated approach and will lead to more efficient translation. BELIEVE will also partner with Torque, a biomedical engineering company which has the technology to deliver drugs to cytotoxic T-cells, which the BELIEVE team plan to use to clear the HIV viral reservoir. Cytotoxic T-cells can be made to function better if they are delivered with certain drugs, but delivering these drugs directly has proven difficult. Using nanoparticle backpacks, Torque has found a way to attach these efficacy-enhancing drugs to cytotoxic T-cells. These partnerships, as well as the interdisciplinary expertise among the research team, will be major contributors to BELIEVE’s success. “We know that through this strategic collaboration with our research partners and a commitment to finding a cure, we will move closer to reaching our goal of eradicating HIV/AIDS,” said Nixon. Nixon, along with Catherine Bollard, M.D., chief of the Division of Allergy and Immunology at Children’s National Health System and professor of pediatrics and microbiology, immunology, and tropical medicine at GW SMHS; Alan E. Greenberg, M.D., M.P.H., director of the District of Columbia Center for AIDS Research and chair of the Department of Epidemiology and Biostatistics at the Milken Institute School of Public Health at GW; and Brad Jones, Ph.D., assistant professor of microbiology, immunology, and tropical medicine at GW SMHS, will serve as members of the BELIEVE Collaboratory’s executive committee. The other U.S. institutions involved in the GW-led Collaboratory are Children's National Health System; NIH; Howard University; University of Arizona; University of Pittsburgh; Brigham Young University; University of Minnesota; Johns Hopkins University; Seattle Children's Hospital; Beth Israel Deaconess Medical Center, Harvard University; University of Pennsylvania; Georgetown University; and Albert Einstein College of Medicine. The international institutions involved are University of Toronto, Canada; Simon Fraser University, British Columbia, Canada; Centro de Investigación en Enfermedades Infecciosas, Mexico City, Mexico; and the University of São Paulo, Brazil. Studies will be conducted in concert with communities at local clinics and agencies associated with these institutions in Canada, Brazil, Mexico, and the U.S. The Washington, D.C. community is an especially important partner in this research. 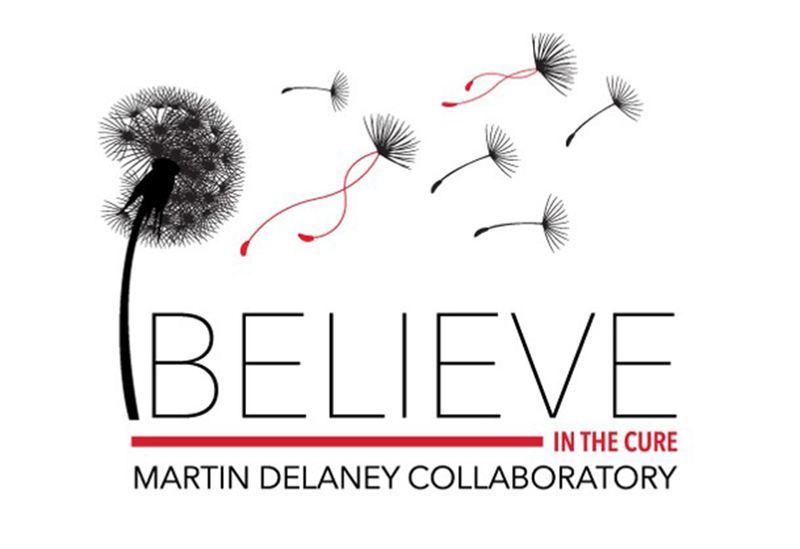 For more information on this year’s Martin Delaney Collaboratory grants, please visit http://www.niaid.nih.gov/news/newsreleases/2016/Pages/Delaney-awards.aspx#. Media: For more information or to interview a GW researcher, please contact Lisa Anderson at 202-270-4841 or lisama2@gwu.edu.